My parents were divorced when I was eight years old, an event which bothered me greatly at the time. Back then divorces were much rarer than these days, and I was one of a few people in my class who experienced such an event. As a result, my father had visitation rights which he took advantage of for several months of weekend get-togethers, but for a variety of reasons soon were not utilized. Hence, I did not grow up with a father who passed down simple skills such as how to fix things. I do not even know if my father was capable of tackling small problems or not. If he ever was a handyman with tools and a skill set to use them I never knew. I did not take shop in high school, which I really regretted. I know I would have enjoyed and learned needed things had I done so. There were just not enough class periods in the school day to study all I now wish I had studied. I suppose it was the requirements needed to earn Boy Scout merit badges which gave me my foundation for being able to fix things. I do know I was never afraid to take apart something that was broken to see if it could be brought back to life. It was not until I graduated from Lee and moved to Memphis to attend Memphis State University and moved in with my mother and step-father that I was actually mentored into learning basic skills about electricity and some automobile maintenance knowledge, since my step-father was a master electrician. I also picked up a few bits of knowledge in my college physics class and became very interested in electronics about the same time. Though I easily mastered getting electrical power from the source to where it was needed, water and plumbing skills took much longer. In the Air Force I increased my electronics skills when I attended a nine-month long school to learn how to be an electronics warfare officer. A couple of years later I took a correspondence course from DeVry Institute of Technology and learned to repair televisions. One of the requirements in the 53-lesson course in Home Electronic Repair was to build my own 23-inch color television set. Eventually, before I retired from the Air Force, my interests moved to computers and I built and learned to troubleshoot and repair several early model computer systems. That along with earning a second bachelor’s degree in Information Systems Management was the foundation of my 20-year post-Air Force career as a computer support specialist at the University of Memphis. Anyway, in my efforts to repair some of these items I became more and more frustrated at today’s tendency to build items with the idea of having to replace them rather than repair them. Take the coffee maker for example. I know it was a thermal fuse that went bad, but when I tried to take it apart I found two of the major screws that held it together were non-standard and took a special screwdriver (which I did not have) to remove them. At one time I could have gone to a Radio Shack and bought a 25-cent fuse, but without that option these days I would have had to go online and order one which would have taken me at least two days to get. I don’t know about the rest of you but I could not go two days without coffee while I waited. So, for the need of a simple cheap fuse I was required to go out and buy a new $20 coffee maker. To get the $30 cordless drill I got for Christmas two months ago repaired I have to spend $12.50 to mail it to a repair center. Only because of my 20 years of working on computers at a college level was I able to successfully set up the printer that no other mere mortal could have done following the instructions included with the printer. Thanks to having my own On-Board Diagnostics (OBD) systems for my car I was able to see the problem and reset the check engine light in the car, and with many viewed Youtube videos of trouble shooting and repair ideas I was able to handle most of the other problems encountered, except my Canon SX60HS camera which will have to be sent to a repair center for professional care. All this is just a rant I suppose. It is a diatribe about how complicated our lives have become because of our dependency on technology which has become common in the throw-away society in which we now exist. As odd as it may seem, sometimes I buy broken stuff at a Goodwill store just to take home and take apart and see if I can fix them. Someone once said that the definition of a Nano-second was the time it takes between me taking something new out of the box it was packed in and me voiding the warranty by taking it apart. 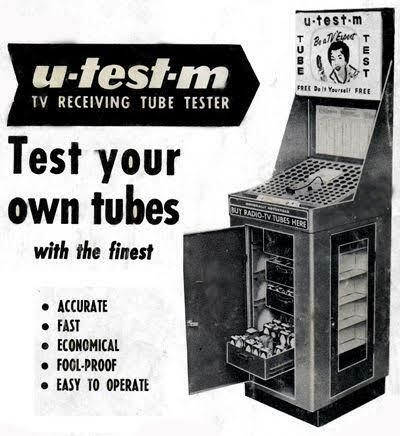 I miss the old days when I was 11 years old and would take the back off of our TV set and pull out all the tubes to take down to the tester at our local drug store and find out which bad tube needed to be replaced. Do you remember those home repair kits which had a bunch of numbered stickers designed to put one on the socket you took the tube out of and one on the tube so that when you got back to your TV set you would be able to get the right tubes back into the right sockets? Can you imagine the law suits today from having one of these things available to the public? I miss Radio Shacks which had all the cheap little items you needed to fix electronic things. I miss having the memories of growing up with a father who taught me to fix things. How about it? Do we have any handymen (handywomen) in our midst? Any good stories about how you learned your skills? Memphis, TN - Pardon the rant, but it has been a bad week for me as a consumer. 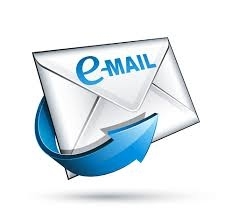 Many thanks goes out to Bob Alverson for taking some of the required writing skills away from me this week with his submissions. I read with interest you article on Hawaii and thought of my Hawaiian experiences. My first contact with Hawaii was in September, 1967. I had a flight from Travis Air Force Base in California to Clark Air Force Base in the Philippines. We stopped at Hickam Air Force Base in Honolulu to refuel. We were only there briefly and I figured unless my next assignment was aboard ship I had seen Hawaii for my first and last time. Roll the calendar ahead to 1969, that was Hawaii’s 10th anniversay as a state. In March, 1969 my tour at Naval Communications Station, Philippines was about up. My orders come in for Naval Communications Station, Honolulu. In April, 1969 I flew from Clark to Hickam but before beginning my tour in Hawaii I came on back to Huntsville. Mary (Mary Hicklin, class of ’67) and I got married in May. After my leave I returned to Hawaii, found us an apartment and we spend most of the first two years or our married life in Hawaii. Our son was born at Tripler Army Hospital in Honolulu. We came home in 1971. Neither Mary or I have been back but Jim has been back to his home state a couple of times. When he was starting school we told him he would probably be the only kid there born in Hawaii. When he went into the third grade we found out his teacher’s son was born at Tripler not long after he was, small world. I would be willing to bet we are probably the only two people in Huntsville listening to Hawaiian music when we are in the car. All this rain we have had the past week made me think back to my childhood. To steal the opening line of my friend Jim McBride’s song Dixie Boy “I was raised in the shadow of an old cotton mill”. Jim and I were both raised in the shadow of the old Dallas Mill, me just deeper in the shadow. I grew up in the very first house on Rison Avenue in Dallas Village. Directly across the street from our house was “the Big Ditch”. It’s official name is Dallas Branch. It begins it trip on Chapman Mountain through Dallas Village into Lincoln Village to Pinhook Creek. The ditch provided a place for us kids to play. It was great for playing war, hiding in the weeds and climbing the banks. We would hunt crawfish and use them as bait to fish in our favorite fishing holes along the ditch. At times, we even confronted water moccasins. It is amazing that no one was ever bitten; because when we were playing in the ditch, they were the furtherest thing from our mind. The real fun, with the Big Ditch, came when we had heavy rain. The ditch was probably 8 to 10 feet deep and 12 feet across at the top. Branches and trash washing down from up stream would block the flow under the bridges; and water would overflow the banks. Our house was one of the old mill houses. It had four steps to the porch. When the ditch would over flow, it was fun to sit on the porch and watch the water and whatever was floating down stream. Many times, I would sit there and watch the water flow over the second step leading to the porch. When I was growing up, there were two bridges crossing the ditch, one for cars and one for walking. I believe it was in the late 50s when the city tore out those bridges and built just one to serve both purposes. In the process, they dug out that part of the ditch, to make it wider and deeper. Heavy rains would come; and it would become a large muddy pool. I can remember people getting in there with homemade boats and canoes and paddling around. I never had the nerve to do that. After building the bridge, the city came back and cemented the banks and bottom of the ditch, making it a true drainage ditch. Heavy rains continued to fill it; but I don’t remember it ever overflowing again. The ditch now served its purpose; but all we, as the neighborhood kids, had were our memories. Jim McBride "I lived the next block up from Bob on Rison Ave. I remember the water from The Big Ditch covering the street and into our yard but never up to the steps. I believe the BD water had something to do with Bob joining the U.S. Navy although I can’t prove it. Thanks for posting Bob. Great memories. Maybe next time you can write about The Big Field." Tommy Towery "I lived on Halsey when I finished up the first grade at Rison in 1952-53. A bunch of kids who’s names I cannot remember and I played a game like “Pooh Sticks” and would drop sticks off a bridge on Halsey and then race across to the other side of the bridge to see them float out that side. One day I turned around to run back to the first side with the group and I saw a boy’s body rolling down the street. My first thought was he had fallen out of the back of a pickup truck, but actually it was one of the gang I had been playing with who had run out in front of a vehicle without looking and was hit by the car. It scared me so bad thinking I would somehow be blamed for playing some part in him being hit that I ran home without saying a word to anyone. He was not killed and I still don’t know who he was, but I can still visualize the sight of his body tumbling down the street." Tommy, I too have had the pleasure of visiting Hawaii...well, just 3 times. But one of my favorite books is Hawaii by Michener. I probably have read it more than 3 times! Great read if you have not read it already. I don’t know if the following story will be worthy of printing. It was brought back to my mind, by the hawkbill knife reference in one of the recent stories. I’m pretty sure that it happened the first six-week period of my freshman year at Lee which would have been 1960. I had transferred into Lee at mid-year of 8th grade when my dad retired from the Navy and took at job at Redstone Arsenal. I had spent my previous years living primarily on Navy bases in a very controlled environment. LHS was facing some scheduling and space limitations as school started that year. I ended up with a morning study hall that was in the stage dressing room right across the hall from the principal’s office. Mr. Jones was the assistant principal and was in charge of our class but he only visited the room occasionally,most times not showing up at all during the period. It was an all boys study hall with no supervision. I remember some of the names of my fellow students but it probably is a bad idea to identify them in this story. Believe it or not, I was not the smallest person in the class. The smallest person in the room was also one of toughest and he had a long standing disagreement with probably the biggest boy in the class. They got into a heated discussion with the large boy saying something to the effect of “You beat me up in the 6th grade but I’m not afraid of you now!” Some more words passed between them and the small guy pulled a hawkbill knife and popped the blade open. Everybody else in the room was backed up against the walls. They circled each other and the small guy made a sweeping move with the knife that cut the big guys shirt tail which hanging out. No further damage was done to either party and I think it was the late Terry Preston that intervened and brokered a temporary truce. If I see a hawkbill knife, I always think of that incident at Lee.